Breathe new life into your DVD collection. 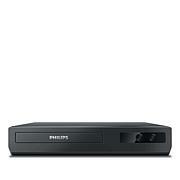 This DVD player upconverts standard DVDs to full HD, ensuring greater detail and more lifelike pictures. And there's no need to fumble with multiple remotes. 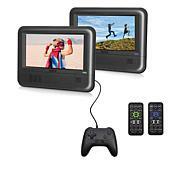 You can control your DVD player, as well as a compatible TV with one remote, too, thanks to Easylink. Plus, Dolby audio ensures your DVDs sound as good as they look. 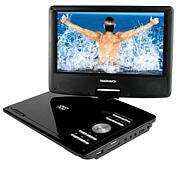 I LOVE THIS DVD PLAYER, IT WAS REALLY EASY TO SET UP. Works great, plays all my dvds on a 15 yr old TV that cant hook up to any smart devices. I have seen some confusion in reviews about the loud talking menu/remote, but you can change the talking settings to where it does not say "play" "pause" etc, so that is not a reason to discredit the entire product, it's a plus for hearing impaired people that need it. 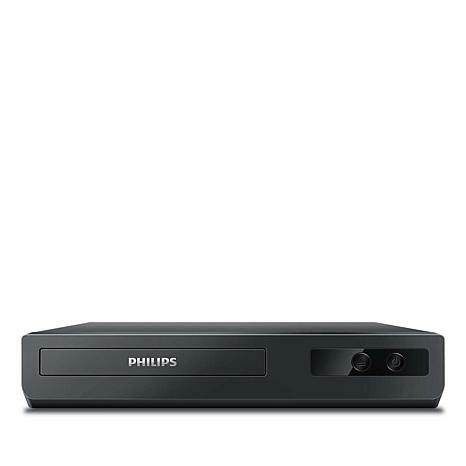 This is a great DVD player, meets all of my expectations, plays great! Also talks to you. HSN has great products with some of the best prices, with Flex pay. Sometimes free shipping. For the price you cant go wrong converts the picture to 1080. Great little DVD player that is inexpensive and Plays DVD's it has a HDMI HOOKUP and for old tv's it has the RCA cable hook ups too.. and that's why I got this one.